A modernist design, projected onto our days: such is the Estasi sofa. 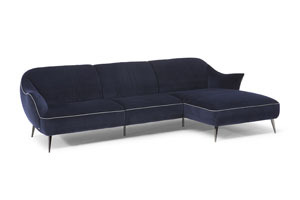 Its shape is elegant and memorable, with a lot of room and comfort but a slender overall figure. Be amazed.